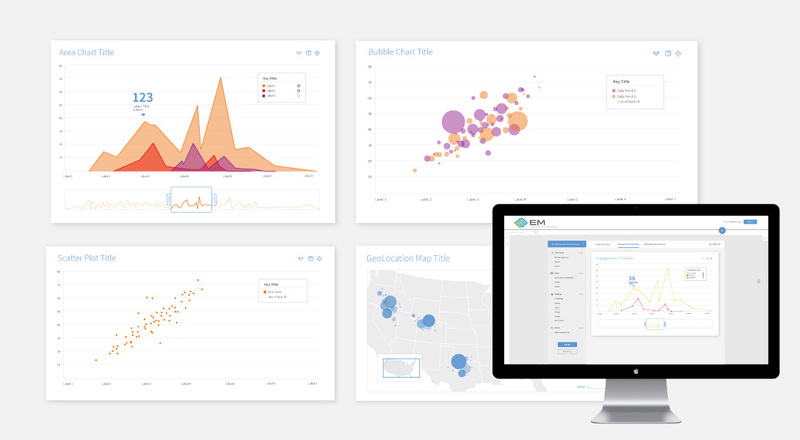 Simplifying the visualization of complex data in a brand-appropriate, externally-facing dashboard. Educational Measures uses interactive technology and data analytics to improve audience engagement during live meetings. The data that is gathered in live meetings is used to analyze audience behavior and quantify meeting impact for presenters. 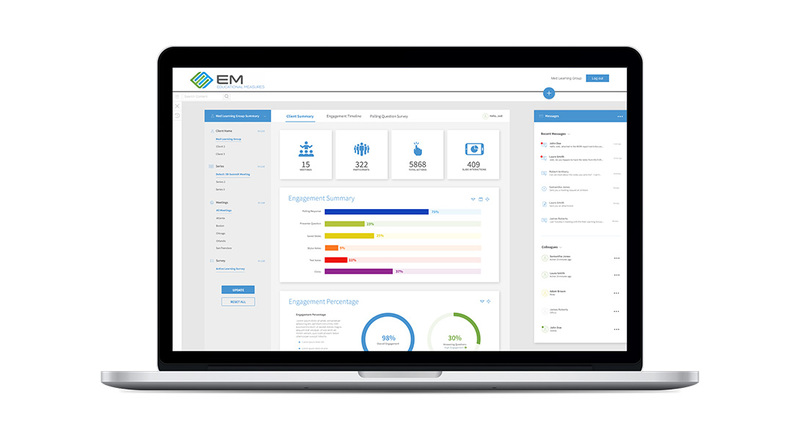 EM needed to find a way to translate this data into a dynamic visual dashboard experience that presenters and meeting organizers could understand and use in real-time, and they tapped Essential for data visualization strategy. Essential began by working closely with the Educational Measures team to better understand the information needs and desired experience of the meeting organizer, and created a number of concepts for the dashboard and the website. 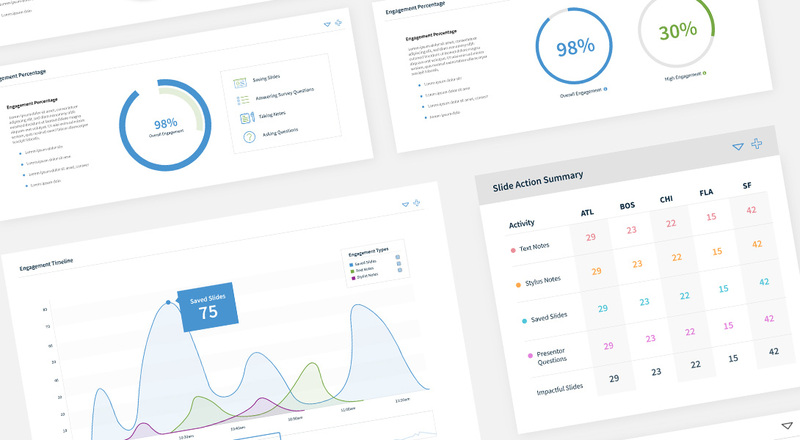 The team completed a visual system for the Educational Measures dashboard and created a styleguide that the development team could use to implement the design intent.